Recently announced on E3 is a new game called The Evil Within. It's being developed by Tango Gameworks and is going to be published by Bethesda Softworks, and it aims to bring back the real survival horror gameplay. Shinji Mikami, the creator of Resident Evil and also known as the father of survival horror, wants to bring back survival horror. As we have seen in RE and inspired games, the survival horror genre has shifted more to action-horror rather than survival horror. So instead of carefully sneaking past the enemy, gamers have blasted their way through hordes of zombies in open areas, leaving the acclaimed Resident Evil genre to fade over into more of a disturbing action than actual survival horror. In short, the game is about a police officer called Sebastian who is prompted to investigate an asylum. He then soon finds out that horrible things happen there. Not much is told about the story, as the game is supposed to be strongly story based, where players will find out what it's all about and how and why things happen. Shinji Mikami stated that he wanted to bring back the survival horror by focusing 100% on the "survival" aspect of the game. This is done, as seen in the video, by leaving the player to make choices. While recently games featured huge and fantasy-type weaponry with tons of ammo, here players will have to survive by escaping and stealth rather than combat. So for example, players wil have to deal with 8 bad guys while only having 3 bullets. The developers aim to leave players to ponder about how to deal with certain situations. Further more, the developers also want the player to feel hunted, scared and unsure about what is going to happen next. The game is stated to be unpredictable and dynamic. For example, the AI will never be on the same place or walking the same routes after the player has died, leaving the player to think his/her way out of dreadful situations rather than just trying to run through and die a million times before passing a certain point. Another example of how the developers want to make people feel unsure and always alert about what is going to happen, is enemies playing dead. The player will have matches in their inventory to light up enemies after shooting them in the leg for example, to conserve ammo. But this could backfire, as the enemy can be acting to be dead, so when the player walks up to light him up, the enemy could actually jump up and kill the player. Gamers have mixed opinions about the game. Some welcome it and are looking forward to it, while some don't really seem to be amused. I personally agree with the latter. 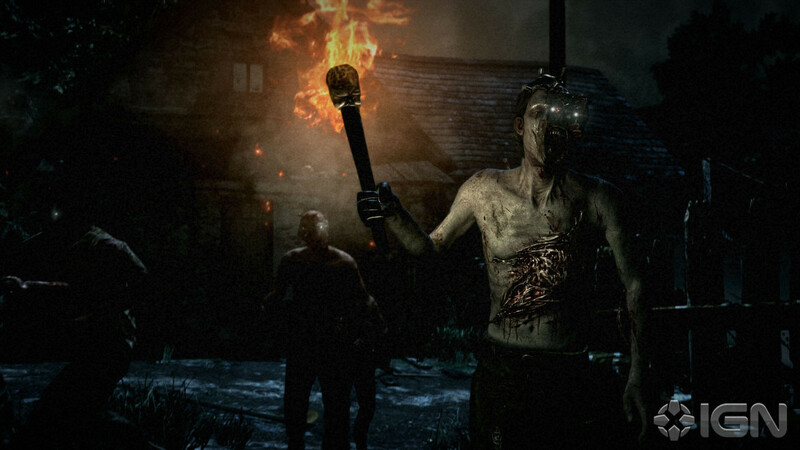 In my ( and many other gamers' ) opinion, survival horror isn't done by having Leatherface-esque enemies and overly gore, bloody and disturbing scenes, but by subtility and making the player feel psychologically hunted. Blood and gore don't contribute to this if overused, as the shocking and scary effect of it is gone in an instant. But lets not judge a game wich is still in its developement stages. We'll have to see how it will work out, but it seems pretty legit.